Whoever decided that Holiday Tea Towels are a good idea must have an abundance of cabinet space and perfect laundry-folding skills. And four sons. Because holiday tea towels are useless. You have to store them somewhere, requiring extra cabinet space. If you don't fold them just right, the entire stack will come tumbling down on the next person who opens that cabinet door. Which always ends up being me. I'm certain that when your first son gets engaged, you immediately start stocking up on holiday tea towels to give your new daughter-in-law. To store in her studio apartment. If you have an abundance of tea towels, then I have the perfect solution for you. One that does not include a large garbage sack, though that option is to be considered. 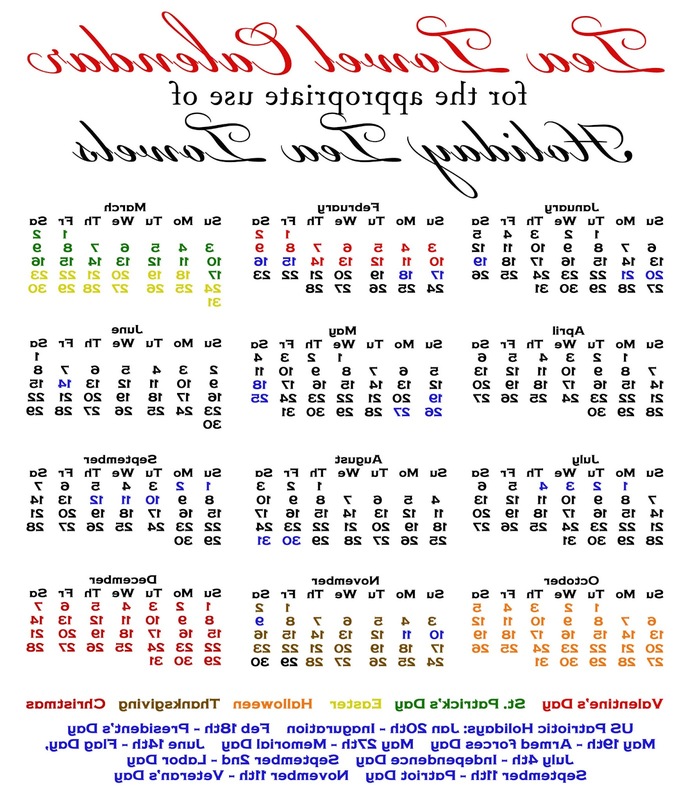 This is a tea towel to help you keep all the dates straight so that you can maximize your tea-towel usage, I created a free printable for the 2013 Tea Towel Calendar for the Appropriateness of Tea Towels. If you'd like to make one for yourself, I'm sharing the printable with you! 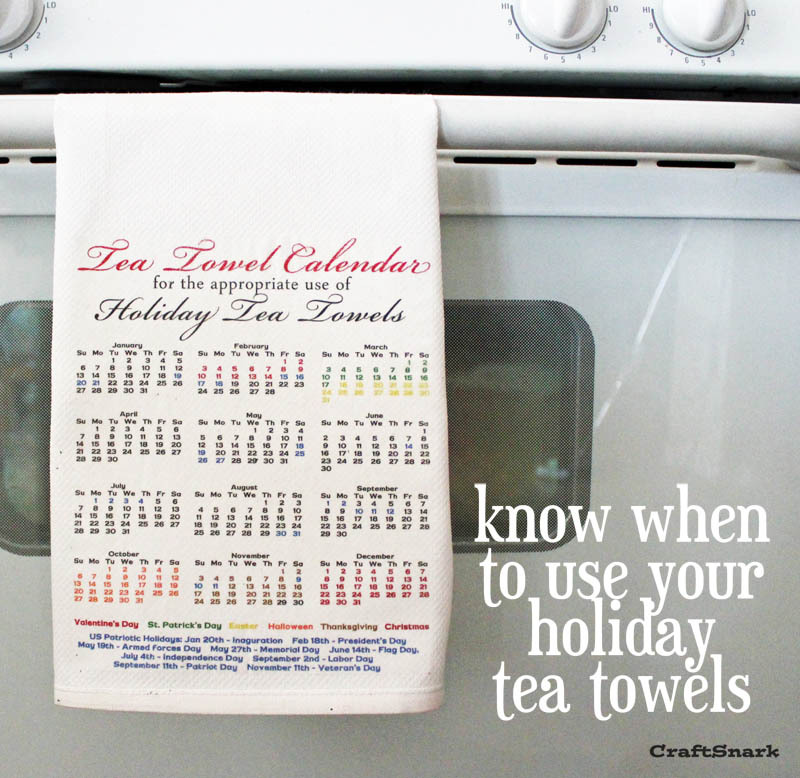 Just print this tea towel calendar onto an iron-on transfer sheet. The text is already reversed.Once printed you trim your sheet, iron it on the one plain tea towel hanging out in your space, and you're all set! If your mother-in-law is defective and does not shop the post-holiday sales to get you new tea towels each year, then you can always DIY your own useless collection. I recommend starting with these tutorials for Valentine's Day Tea Towels and Christmas Tea Towels. And I'd suggest you start finding additional cabinet space.